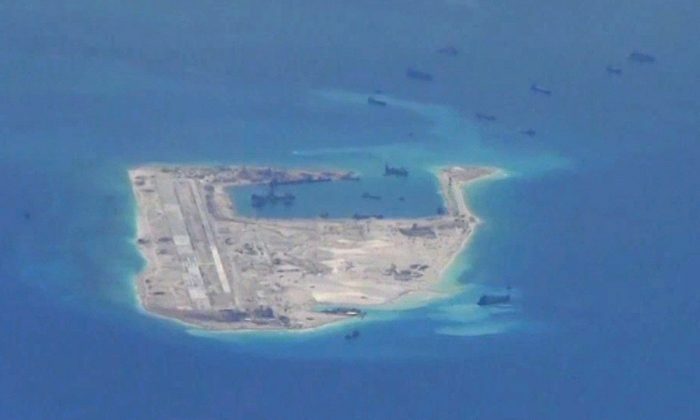 WASHINGTON—Two U.S. warships sailed near islands claimed by China in the South China Sea on Feb. 11, a U.S. official told Reuters, a move likely to anger Beijing at a time of tense relations between the world’s two biggest economies. The Chinese regime claims almost all of the strategic South China Sea and frequently lambastes the United States and its allies over naval operations near Chinese-occupied islands. It has urged Washington to stop sending warships and military planes close to the islands that Beijing claims.